I’ve just finished reading Ian Parker’s brilliant profile of Apple’s SVP of Design, Jonathan Ive, titled “The Shape of Things to Come” in the New Yorker. And its description of Ive’s relationship with Steve Jobs reminds me of the yacht designers and builders T talked to for a feature in Boat International that I wrote about “disruptive” yacht design earlier this year. And the same thing can be said for Peter Johnstone, Steve Dashew, and the family team of John, Orion, and Sky Shuttleworth. They, and other designers and builders I’ll be profiling in the future, not only think differently, they’re pushing yacht design into the future with very real and stunningly beautiful boats that get built, and used, and enjoyed. I don’t want to give the whole story away, but here’s a taste, because the boats (and frankly, the people) are just too cool to keep to myself. And there is a link to the full story at the bottom of this post. Gunboat founder Peter Johnstone comes from a famous and successful American boat-building family. His childhood bedroom was JBoats‘ first office, and performance boats are in his DNA. But he’s always gone his own way, and he’s always pushed against the limits of what’s possible. Gunboat has hit a rough patch lately but, I predict that they are going to get things sorted and be stronger than ever. 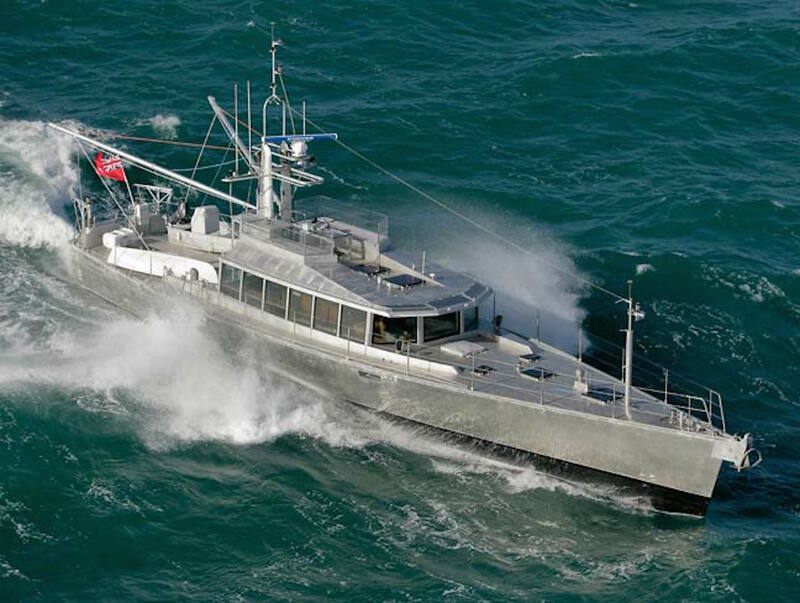 A company that builds boats like this is just to special to stay down for long. Dashew’s designs are the definitive go-anywhere boats. At first glance, Steve Dashew’s rugged, narrow, unpainted aluminum, go-anywhere, world-cruising power yachts couldn’t be any more different (and dare we say conventional) than Johnstone’s all-carbon foiling fliers. But looks don’t tell the whole story. In fact, you could say Dashew and Johnstone are cut from the same cloth. 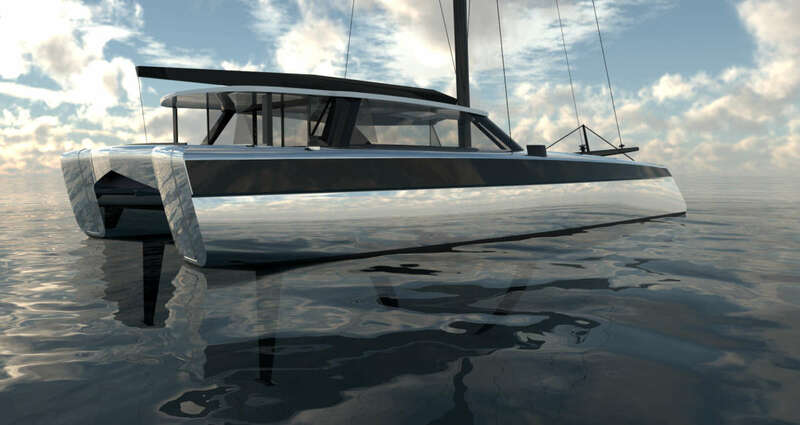 The father and son design team of John, Orion, and Sky Shuttleworth caught lightning in a bottle with their award-winning, world-cruising power trimaran Adastra. But it was no accident. In fact, how the Adastra project came to fruition actually sheds some light on how most truly disruptive design leaps (like Johnstone, Dashew, and Jobs and others have made) actually happen. And stay tuned. I’ve got hydrofoiling power cats, 60 knot Italian stealth fighters, and a whole range of innovative new yachts on tap for future posts. Here’s the link to the full feature that appeared in Boat International earlier this year. I hope that we shall see Chris Whites ‘Mastfoil’ tm here as well as this has tamed the mainsail and is seriousely disruptive a piece of technology. Absolutely! I’ve got a lot planned for this “disruptive” series and Chris White’s Mastfoil is high on the list. I’ve written about it when it was a mere “concept” back in 2011 Chris White Re-Thinks Everything and I’m planning on see how it works for myself later this year. Watch this space.